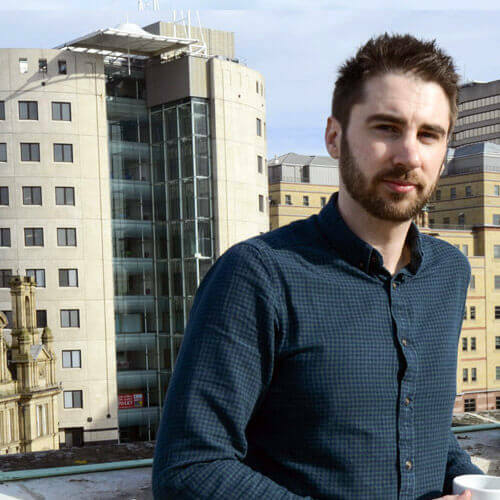 Matt Saunders is the editor for Design is Political, an online magazine which aims to inspire and empower creative professionals to use their skills for good. Drupal 7 is a powerful and robust content management system. Of course, if you’re reading this, you probably already know that. After many years of using various platforms, Drupal – for all of it’s clunkiness – is still, in my opinion, the best so far. Drupal is great not only for making websites but also for building web applications. After we’ve downloaded and enabled our modules, lets create a content type. 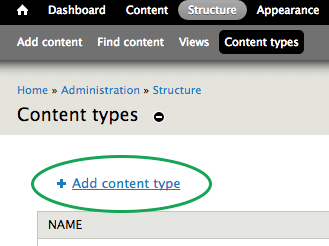 Visit structure > content types and create a new content type. Keep the default title and body fields – these will form our task title and the body will be used as the description. If you wish, rename the body field to description (there is little point in deleting this field and recreating it as description). For now, this completes our Task content type, but feel free to add more fields if you wish. These will be our task states, but what we’re doing here is separating our states from the task content type itself. This is good practice because it means the taxonomy might be used by other content types in the future. Next, goto structure > content types and click “manage fields” on the Task content type. 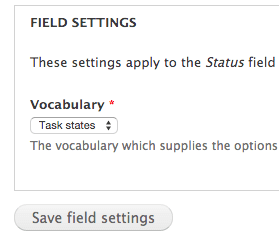 Add a new field called “Status”, for the field type select “Term reference” and the widget choose “Select list”. Then click save. Next you’ll be asked which taxonomy to reference, select Task states. Save these settings (the defaults are fine) and essentially, this is our content type complete. Again, add more fields if you wish. Before continuing, spend a few moments to create some dummy content for your new content type. Goto Add content and select Task. 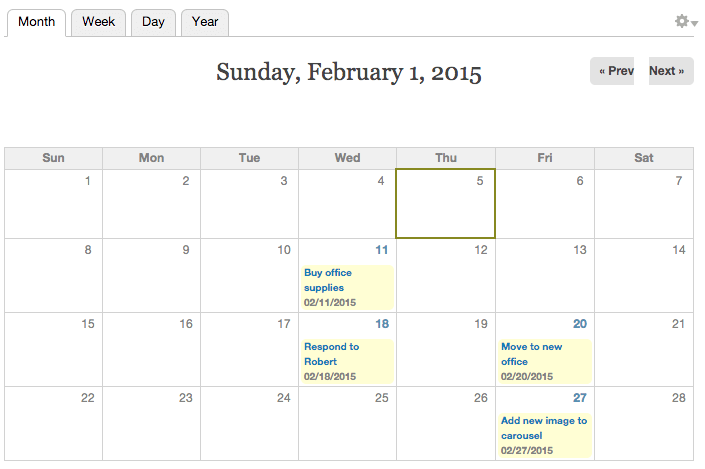 In Drupal 7, the calendar module uses Views to display data. Head over to the Views module in structure > views and click “Add view from template”. A calendar view of the ‘field_due’ field in the ‘node’ base table. Click “add” under the Operation column. Click Save, and then once the view is open, click Save again. So we have added a calendar View from the template and then saved it. This now behaves like any other View. You can add fields change sorting order, add filters and even expose filters to the View or in a block. Point your browser to: http://yoursite.local/calendar-node-field-due/month (obviously changing yoursite.local to whatever your local dev URL is). As stated above; this is a normal View. Remember the “Status” field we added? You can even expose this as a filter which the user can change and this will provide a way to show only tasks with a specific status. I’m sure you’ll agree that this is extremely powerful – in less than 30 minutes we have created a fully functioning task list with calendar output. Go ahead and extend this further with more fields and functionality, and you can quite quickly build a genuinely useful web application in Drupal 7.